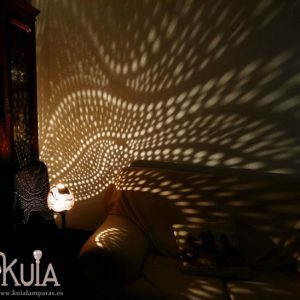 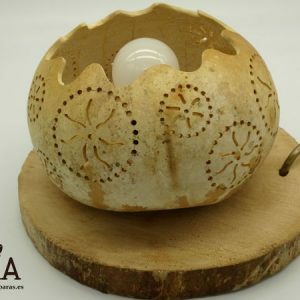 Environmental table lamp Sua , a beautiful lamp that will decorate unique and magicaly any corner where it is placed. 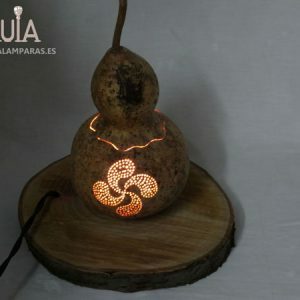 With its peculiar carving in the shape of fire flames, it has a unique and exotic design that will enchant any place that touches its flames. 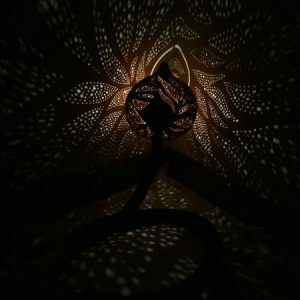 This bedside lamp has been designed to create ambient and warm lighting, designed to create a set of lights and shadows that will completely transform the room where you place it.The base, a flexible tube lined with black cloth, that you can mold to your liking, giving it the shape that you like the most. 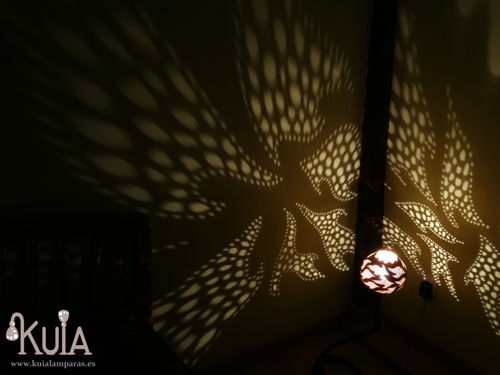 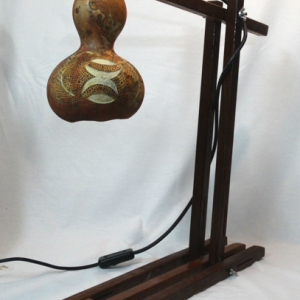 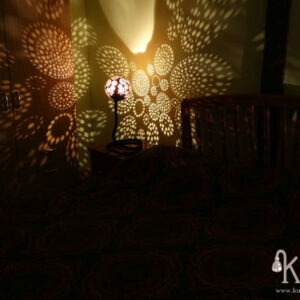 In addition, you can stretch the lamp, turning it into a floor lamp. 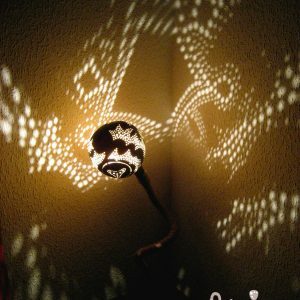 So this lamp is a two in one. 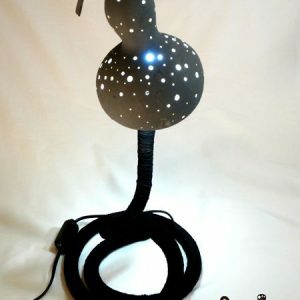 It is valid as a table lamp and also as a floor lamp.